#1) I’m so used to LOA and ONLY focusing on what I WANT that when I use EFT and am tapping all the ‘negative’ aspects of a problem, I can’t help but feel like it’s damaging in some way because I’m sending all this negative stuff out into the Universe and it will come back to me ‘bigger’! Yikes! Is it ok just to tap what I DO want or do I absolutely HAVE TO tap on all the negative aspects too? –B. 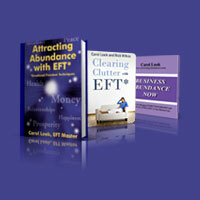 H.
#2) Are there any testimonials that EFT can ‘cure’ cancer. I imagine it can be useful with the emotions/symptoms as a result of a cancer diagnosis AND even alleviate stresses that may have contributed to cancer BUT do you know of anyone that has used it to successfully cure cancer AND do you have any recommendations for ‘scripts’ for this specific issue? Thanks for all you do, –B. H.
#6) Hello Ms. Angel face, I Hope you remember me from the PTSD week. I am always grateful for all that you taught us. It has been 18 months and i still haven’t had a single flashback nightmare, or even a panic attack. If I find myself with anxious thoughts or feelings I use the choices method (I CHOOSE TO FEEL CALM AND RELAXED). I do have a question… I try to tap everyday. Imagine a patient who has resolved major childhood trauma, adult nastiness as well, ME! But his past spring my moms dementia reached a critical stage prior to her blessed departure from pain. I put aside my anger over her emotional abandonment (when I was a child) and worked with the rest of the family to keep her home. Learn more about Ask Carol and how to get your questions answered.